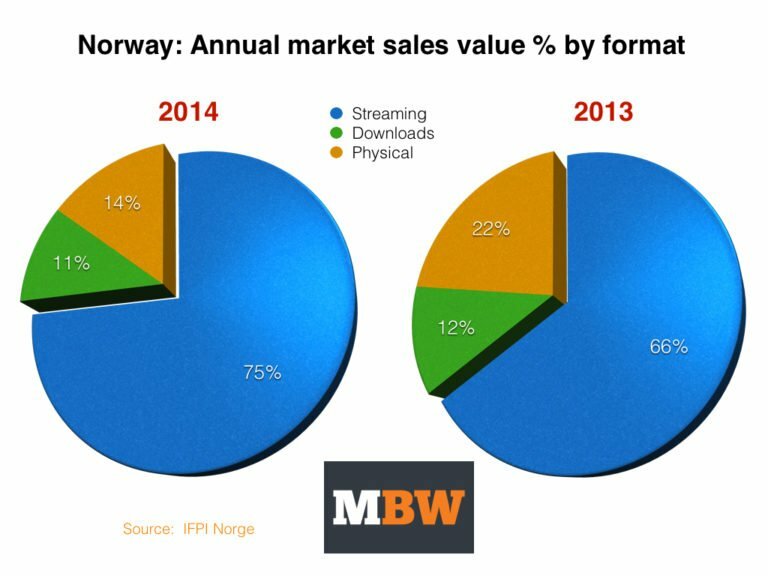 The latest full-year music sales stats out of Norway show that the Scandinavian country’s revenues from recorded music were flat in 2014. But the results of a recent IFPI survey in the territory bring optimistic news for the future, MBW has learnt. 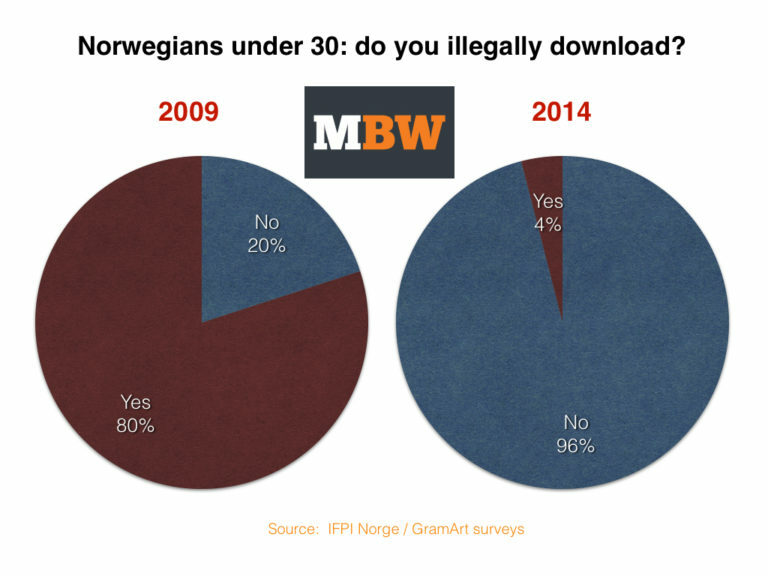 A countrywide survey in December 2014 showed that just 4% of Norwegians under 30 years still used illegal file-sharing platforms to get hold of music. Even better for the worldwide industry, less than 1% of people under 30 years said that file-sharing was their main source of obtaining music. Compare that to a 2009 survey by the IFPI and GramArt, which showed that 70% of the population under 30 years who had internet access were illegally downloading music. The reason for this near-complete erosion of piracy in the region is clear: young people now have a better option. 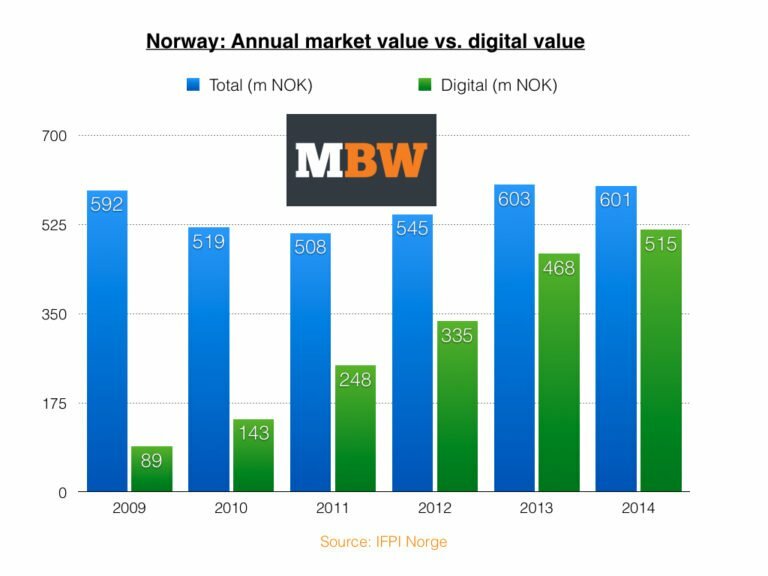 75% of Norway’s recorded music industry income now comes from streaming services such as Spotify and Tidal/WiMP. The IFPI’s December survey concluded that 80% of people under 30 in the country chose streaming services as their primary source of music. She added: “We have managed to reintroduce a healthy economy in music industry. We must simultaneously not forget that we are only in streaming’s infancy, and that we will probably see major changes in the coming years. “Younger audiences are using streaming services to the greatest extent. When older audiences [start] embracing these services we will probably see a somewhat different distribution of revenues. Hopefully this will also involve a better economy for several Norwegian artists and record companies.